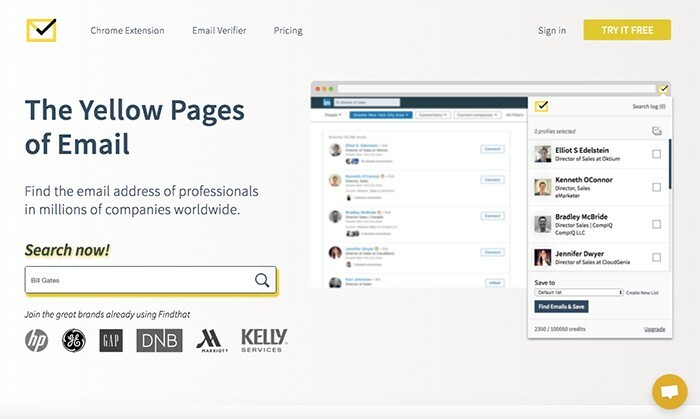 The times of the bound ‘white pages’ are gone. Now that’s easier than ever to find someone’s Facebook profile, Instagram feed, Twitter page, or Amazon wishlist, but when it comes to an email address, that’s a tough task. People protect their emails and phone numbers as confidential info for a good reason. There are tons of spammers in the modern world. But why emails are still relevant, if you can get in touch with social media? One of the significant reasons to contact person via email is that this is a personal way. An email address is also a professional way to get in touch, especially for business purposes. Besides, people pay more attention to their emails then Facebook direct messages (a person may not even notice your message until you are in friend’s list on Facebook). And the last, but not least reason to use email is that it’s easier to get a serious conversation there. LinkedIn is a network for professionals from all over the world. 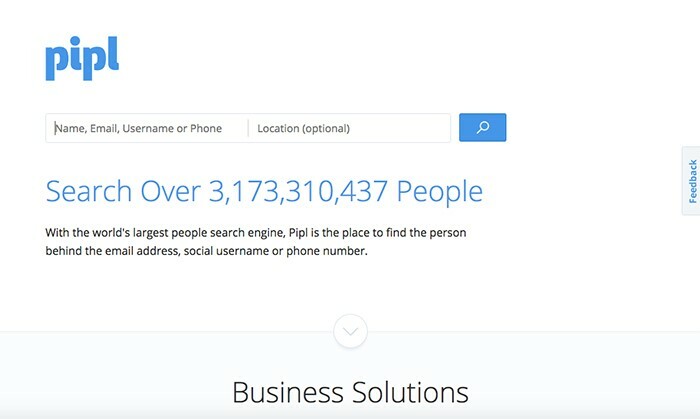 You can search people by name, country, industry, email, location, and more. People often share their contact details in profile, such as email address or phone number. 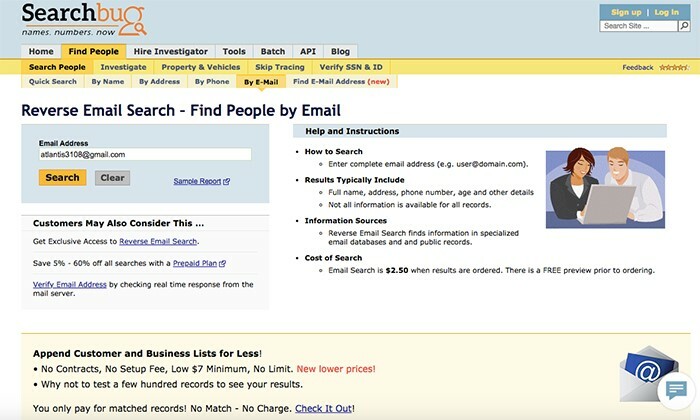 SearchBug allows you to search people by email, phone, name, address, and location. Also, you can do vice versa, I mean, find people’s email address using a name or phone number. The results will include name, address, phone number, so you can easily get in touch with this person. This website offers you to find information about the background and criminal info about anyone in the US. You need to register for Reunion to use the service. 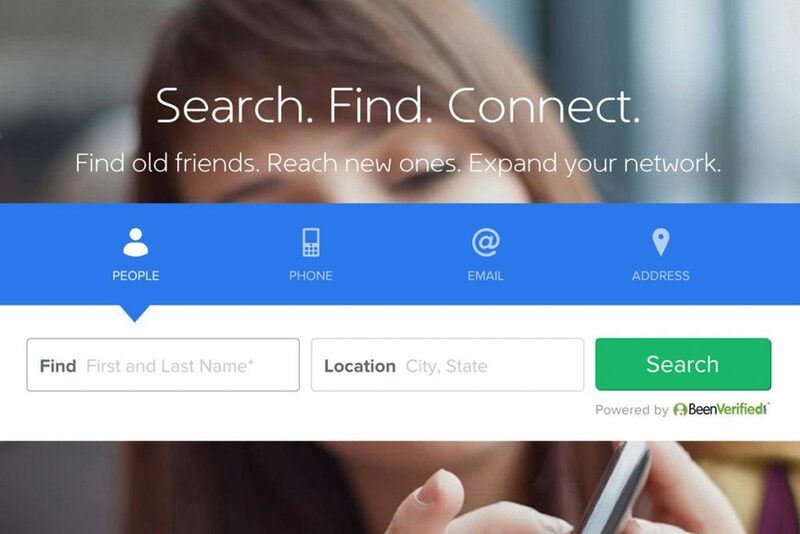 Besides, it can help you to find school friends and even browse names by the list of cities. 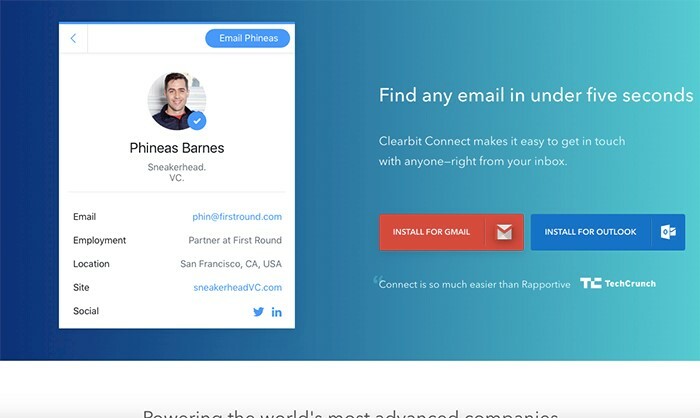 Clearbit is a useful Gmail and Outlook extension in no time. It’s accurate up to 97%. 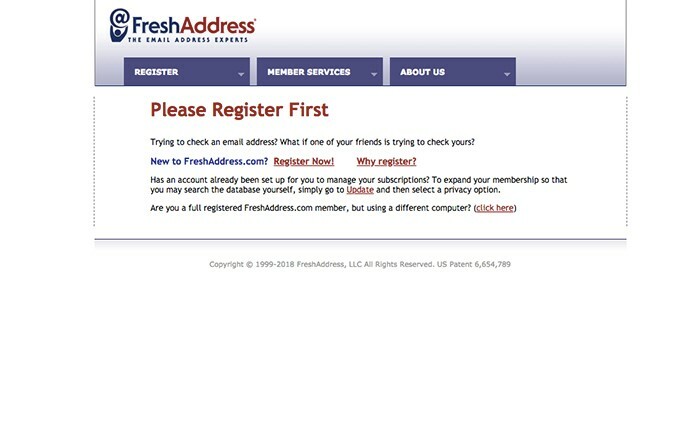 To find an email address you need just enter first name or company name into a search field. The, you can start writing a letter to this person immediately. Enter a name, email, username, or phone number into a search field and find a person behind this data. 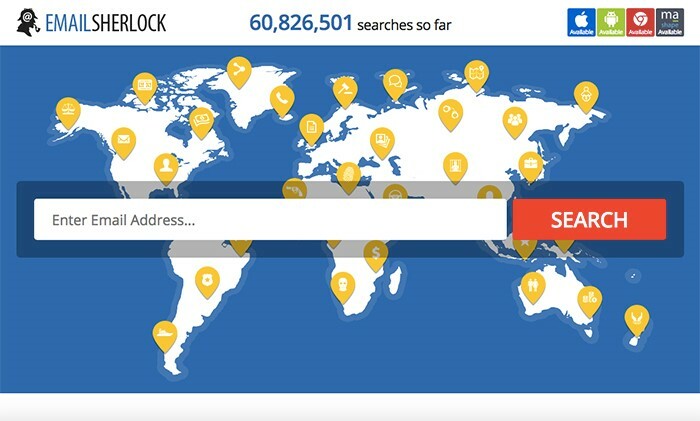 The site has over 3,000,000,000 people worldwide. 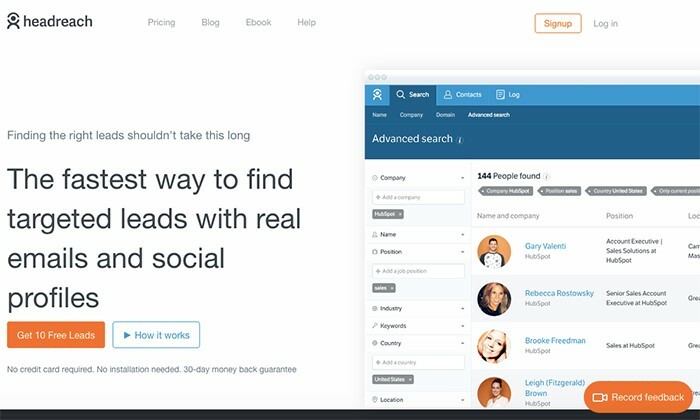 It will help you find information about your customers or find influencers to promote your business. This is a handy browser extension which browses public data sources to get an email address. 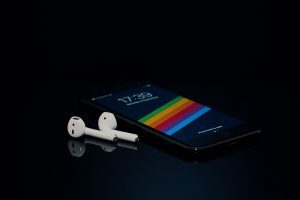 You can use it up to 20 times per month for free, and then, if you need search for more, you would need to buy a premium plan. With PeopleSmart you can find people by email and then contact them if needed. Besides, you can search people by name and get access to civil and criminal court. And finally, it can help you to protect your privacy which is difficult in our digital age. 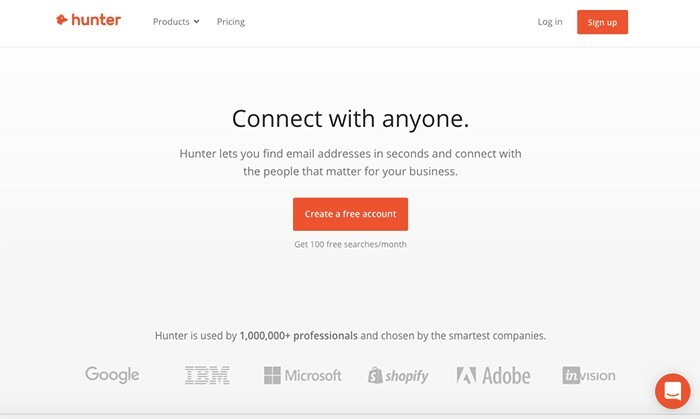 Hunter is a fast, easy-to-use tool to find company email address. 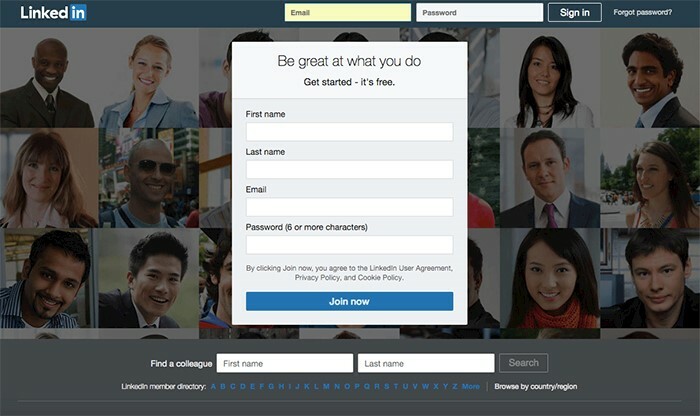 Enter company’s domain name and get a list of emails in the result. It shows confidence score of each email. You can do up to 100 quests per month for free. Yasni is a website which lets you find people by field, what can you offer to this person, for example, consulting, marketing, and what the web knows about a certain person. It browses social networks, Amazon wishlists, blogs, and public records to show you the most recent information. This site allows you to search for an email address by domain and name. It will work the bets with company domains. 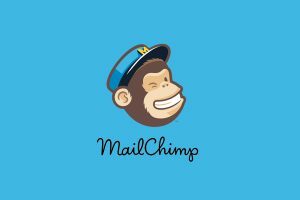 Moreover, it also works great with free email providers, like Gmail. You can find email address manually or in bulk. This site contains both old and new email addresses with up-to-date information about people behind them. 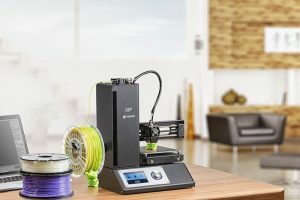 You need to register on the site to search for information, because it’s one of the easiest ways to find name or emails, and also, let other people know your current email. Meaning, if someone will look for information about you, they will find it simple. 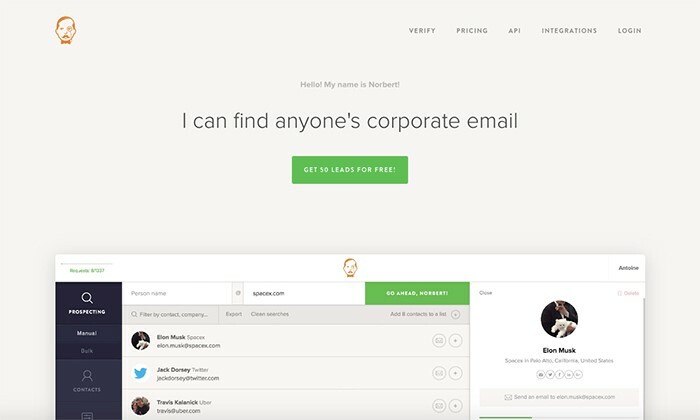 Headreach allows you to search people by name, company, email, and domain. 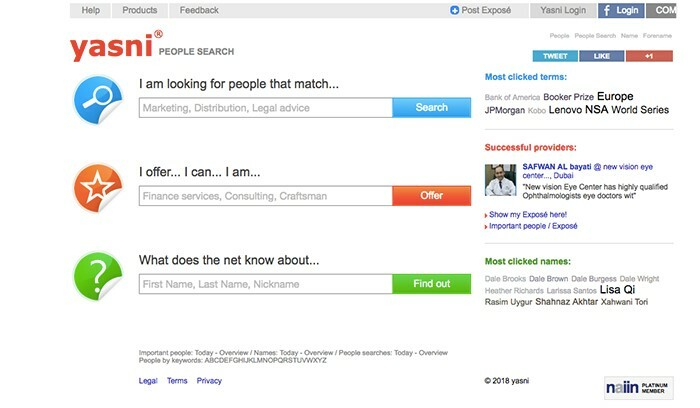 When you find your prospect, you can see person’s email and social media profiles. All your searches will be saved in a list on the site, just make sure to sign up. 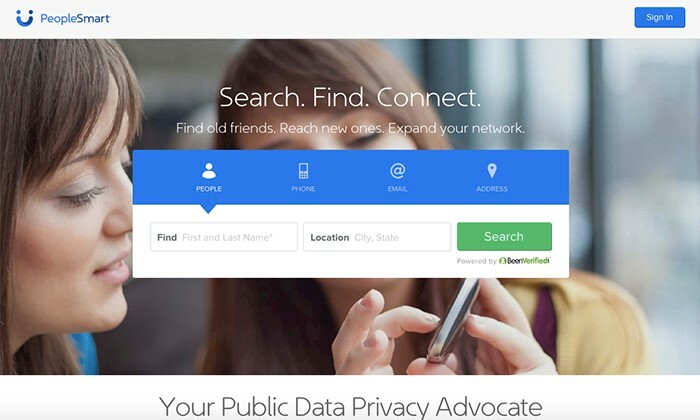 This service searches public records and directories to return information about a person’s email address. Over 1 billion of Facebook users along with millions of users of other social sites must use their real email address to register. And Emailsherlock has access to this database to give you the most accurate results. 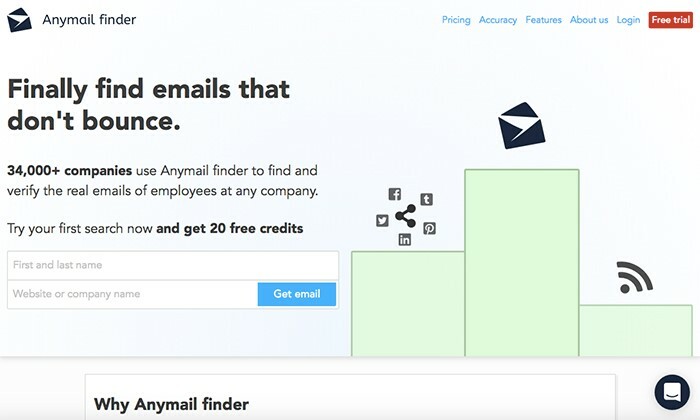 Anymail finder helps you to find real emails of employees of a particular company. 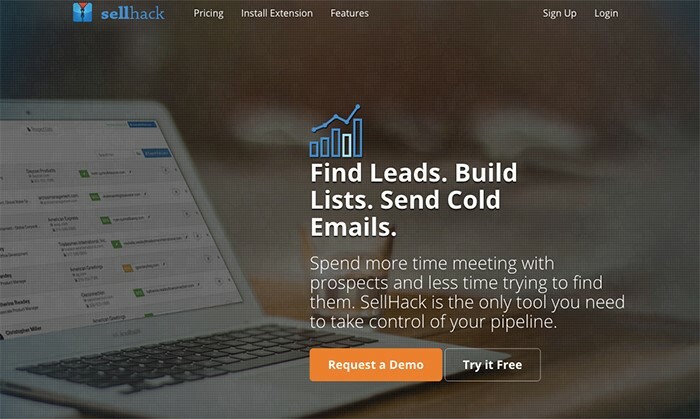 Even without registration process, you can use name and domain to find emails right from the homepage. You can make up to 20 requests for free. But it has a huge disadvantage; it does not seem to work with free email providers like Gmail. This website can determinate the identity of the owner of an unknown email address. It is ‘yellow pages’ for emails. It has a few pricing plans, you can search for 15 emails for free, but if you need more, you need to pay. For those who are working at the tram, you can use a pricing plan for $149 per month with over 3,000 credits.